Connor Raskin wants to find out how the universe ticks, like Stephen Hawking or Carl Sagan. He’s passionate about space and plans to be an astrophysicist. Fortunately, he has plenty of hands-on, real-world opportunities to study space as a high school learner at Santa Clarita Valley international (SCVi) Charter School in Castaic, California. In 9th grade, Connor researched, wrote, and studied space science experiments as part of the iLEAD SSEP program. Although his proposal was not selected, he went to the launch at the Kennedy Space Center in Florida to support the SCVi team and to Space Camp in Alabama. In 11th grade, he joined the 2018 iLEAD DreamUp Team in preparing an experiment in the lab, presenting it at the Mars Theatre at the Kennedy Space Center and watching it launch into outer space to go to the International Space Station (ISS). 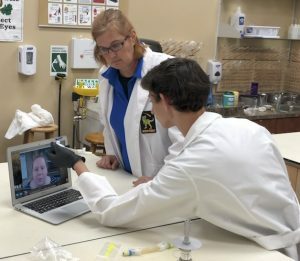 Inspired by the 2018 DreamUp team experience, Connor and his friends researched and wrote their latest 2019 space science proposal, “Can Mycelium Be Used for Construction in Microgravity?” The team recently spoke about their 2019 proposal on the local SCVi radio program “Our Way on the Highway” on KHTS. The main problem they hope to solve is how to create shelter on the Moon or Mars. Mycelium is the base of a mushroom, which can be grown into bricks to help build this shelter. 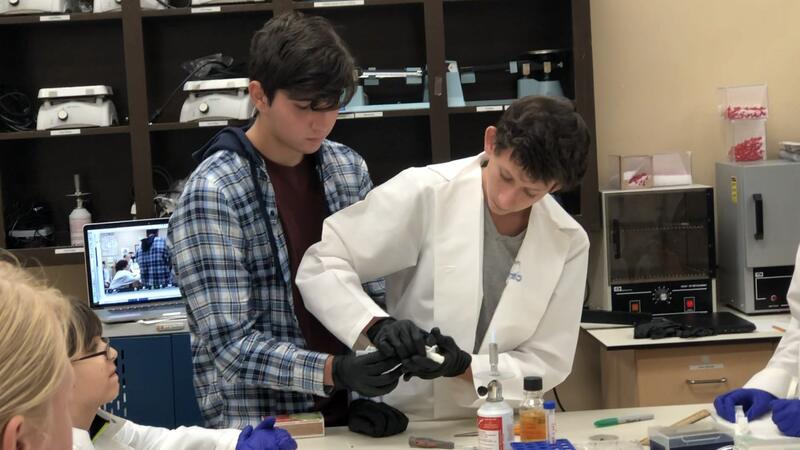 Connor also traveled to Israel with his team during Space Week at the beginning of February 2019 to share ideas with Israel students in preparation for a new beta space program with iLEAD, called the Space Science Accelerator Program in collaboration with Israel. Connor loved meeting the students in Israel, understanding their culture, listening to their ideas about space and interacting with them. When Connor is not involved in space science or working on his class work and mock exams in the full International Baccalaureate (IB) educational program, he describes himself as fairly goofy, plays soccer after school and is involved in a group that he helped start at SCVi called Backpacks Full of Hope. They are a group of learners who travel to Puerto Rico during spring break to help rebuild after the Hurricane.